Miho's best friend, who is in 9th year, class 2 in the same school as Miho and Mashiro. Though being her best friend, she doesn't know that Miho likes Mashiro. She confronts Takagi about having asked Miho about her dream, given that she had told him, which results into Takagi making her believe that he likes her. This surprises her, given that she likes him and she tells him she'll have to think about it. 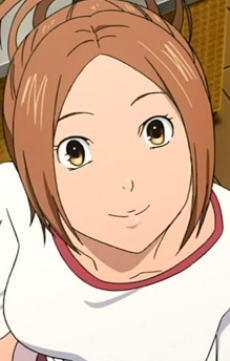 She and Takagi eventually begin going out. Miyoshi plans to go to Yakusa North High, the same high school Moritaka and Tagaki are planning to go to and eventually does so.